This a complete tutorial on how to make your mix or music ready for radio broadcasting or any types of broadcasting such as in television, etc. One truth that you should know is that radio and television systems already include their own compressors and limiters. This equipment’s are designed to make their broadcast output as loud as possible while controlling the accidental spike on loudness that goes out on air. However very loud type of music which has a very small dynamic range can sound awful in radio because broadcasting compressors/limiters further compressed or limit them! This results to pumping, squashed and distorted music on air. 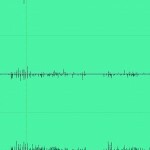 The straightforward solution would be submitting music that has a very wide or big dynamic range. 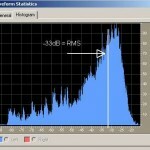 The question is how much and how to measure dynamic range? It has been found out by a study here. 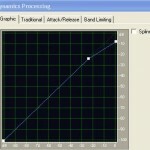 Using a standard radio broadcasting compressor (Orban Optimod Broadcast Processor) that music needs to have dynamic range of around 8dB to maintain the desired punch and clarity on air. Smaller than that (< 8dB or less), the music would now start to sound squashed and bad (distorted also). Step1.) 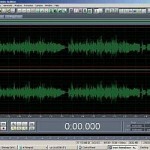 Download foobar2000 audio player. This player is open source/free. Step2.) Fully install foobar2000 audio player in your computer. After installation, try playing at least one song to make sure it works. 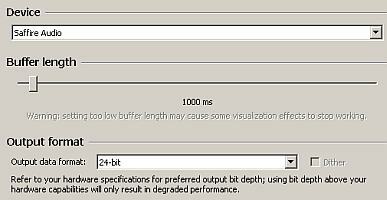 If you are using an external audio interface/ASIO instead of a normal PCI soundcard, you can configure it as follows (by going to Library – Configure). Then under “Playback” click “Output”. In the above screenshot, foobar2000 is configured to work with Saffire Audio and set to output 24-bit audio. Step3.) 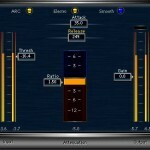 Once it’s working; you can install the dynamic range component. You need to download it here. Step4.) 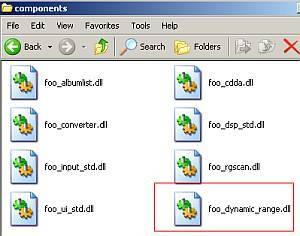 Extract the DLL content to your desktop. Step6.) Restart foobar2000 by closing and starting it again. Open your highest resolution master (e.g. 24-bit/44.1KHz). Or if you don’t have one, you can play your mp3 or CD audio masters. 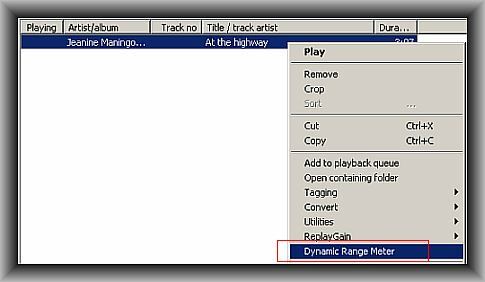 Once it’s loaded in the foobar2000 playlist and playing, right click on the track title and you should see the “Dynamic range meter” option. It says that the song played has a dynamic range of 11dB.